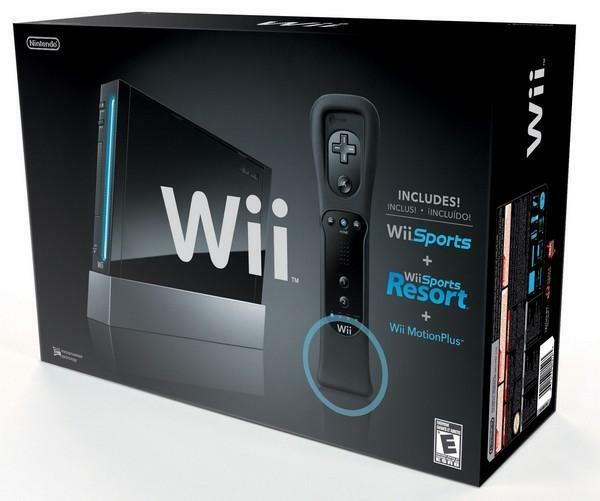 If you're waiting on a different color Wii, May 9 will be the date as Nintendo will be releasing a black Wii and it will come bundled with a MotionPlus accessory and Wii Sports Resort for $199.99. That's just six days from now and you'll get a little more with a new color for the same price. While the black version was available in Japan, the black Wii will be available in North America this coming Sunday and there will be black controllers and accessories coming out as well to coincide with the new color. The new color should match an entertainment center a lot better and I know this is important for some people. I know someone on our staff is happy that this new one is coming out as their Wii just went out. REDMOND, Wash.--(BUSINESS WIRE)--A great value in video games is about to get even better. Starting May 9, Nintendo will add new elements to the baseline Wii™ system package offered at retailers throughout the Americas. In addition to the intuitive, motion-sensing Wii Remote™ controller, Nunchuk™ controller and popular Wii Sports™ game that currently comes standard with each system purchase, every new unit will now also come packaged with Wii Sports Resort™ and the control-enhancing Wii MotionPlus™ accessory. In addition, consumers will be able to choose between two color schemes for the Wii console and included controllers: original white, or a new black option. The U.S. suggested retail price of the new system package will remain at $199.99. Pricing outside the United States will be established by the local markets, but offer similar consumer value. "Nintendo leads the way in delivering rich motion-control gaming experiences at an accessible price point," said Nintendo of America President Reggie Fils-Aime. "By including even more of our top-quality hardware and software in the basic Wii system package, we're extending that commitment to entertainment and value. Now more than ever, consumers can count on Nintendo to deliver inclusive fun and advanced motion controls at a mass-market price." Wii Sports Resort expands on the active-play fun of the original Wii Sports, with resort-themed activities such as wakeboarding, archery and swordplay. What's more, Wii Sports Resort features the rich control enhancements of Wii MotionPlus, which allows users to dive in and enjoy precision motion-control excitement right out of the box. The Wii system launched in November 2006 and continues to attract millions of new and experienced gamers with its intuitive motion-sensing controls and inclusive game offerings. Remember that Wii features parental controls that let adults manage the content their children can access. For more information about Wii, visit Wii.com.